Now last week we talked about what to look for when looking for a new lash stylist, (we can help you with that! Treat yourself to a set of Russian Lashes when booking with Gillian for $50.00 off! Valid until July 31st! Offer available via phone and in store only.) 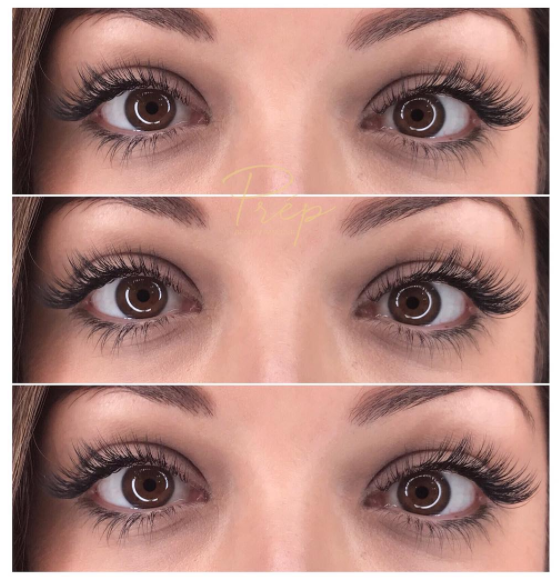 We discussed the dangers of cluster lashes, and what a true set of Russian Volume lashes really mean! 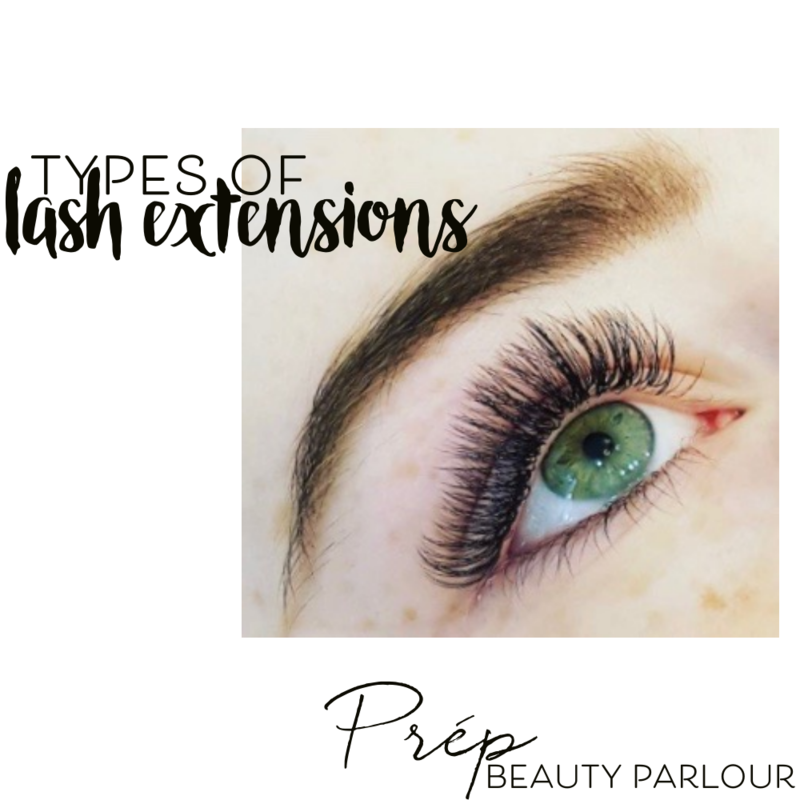 Today we will be going over the several types of lash extensions that Prép offers! 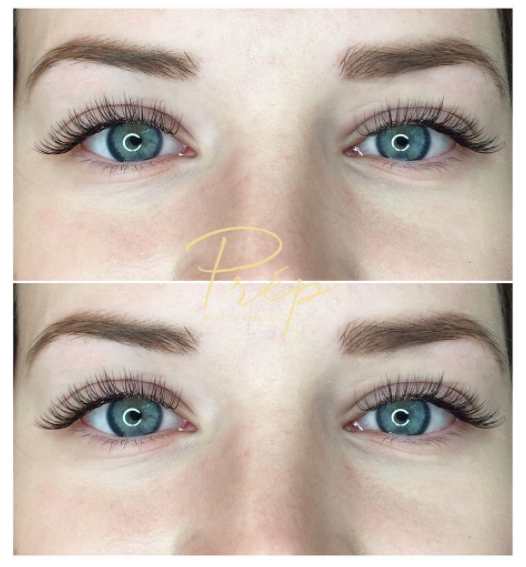 Currently, we offer 4 main types of lash extensions which we found are very loved by Vancouverites! Full Russian Volume, Mixed Russian & Classic, Royal Full Set, and our most popular – Classic Full Sets! Confused on all the different names? Keep reading to look and read about the differences! Classic Sets are the stepping stones to bigger and better lashes! They can range from looking glamorous, to short & sweet! 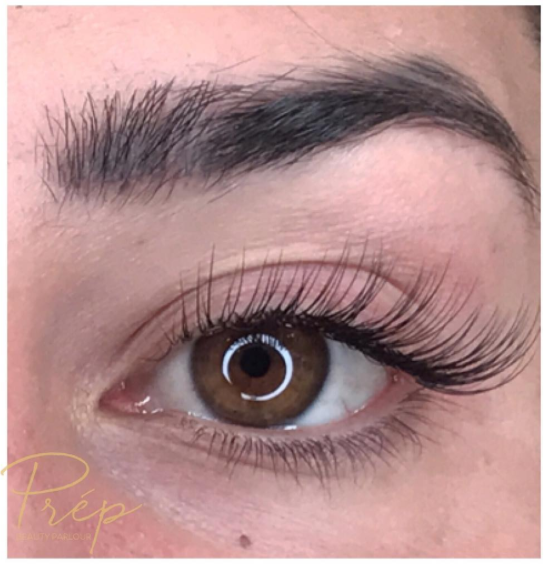 There are many different lash styles that can be achieved with these sets, (click here to read more about our styles!). 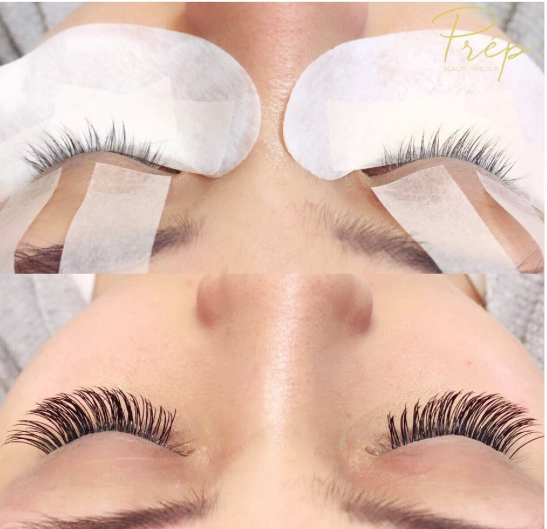 A set of lashes are considered to be classic when your lash technician isolates each one of your natural lashes, and glues a synthetic lash on top! The only exception is sometimes your lash technician may purposely not apply a lash to a natural lash. This be because lashes all grown at all different speeds and cycles, so we have some baby and some full grown lashes! Sizes of the synthetic can range from natural, to full touching-my-eyebrow length. However, although these long lashes might look gorgeous, they can be very damaging to your natural lashes if they are more than 2-3mm longer. Lashes that are too long can be too heavy for your natural lashes! Similarly to Classic sets, Royal sets are again, applied individually- one synthetic to one natural. The only difference is the shape of royal lashes are flat, thus they create a thicker, darker look. You might be thinking; Wouldn’t this mean, I would have to go shorter, because they are thicker? The answer? Nope! In fact, the flat lashes are actually lighter! Yup! This means you can go beyond the 2-3mm and get longer, more lush, lashes! Why choose flat lashes? Because of the way they are shaped, these lashes are designed for people who have A, sparse lashes, and B, people with shorter lashes. As mentioned, it gives a set of lashes the perfect darkness and thickness that replaces mascara completely! The flatness definitely amps up the voluminous look that so many of us with sparse lashes crave! The curved/flat style of the lash allows it to sit more comfortably on the natural lash, allowing the glue to seep through, giving the lashes a better hold, and better longevity! To read more about our royal lashes, click here! Russian Volume full sets mean that every single individual lash has a fan glued on. 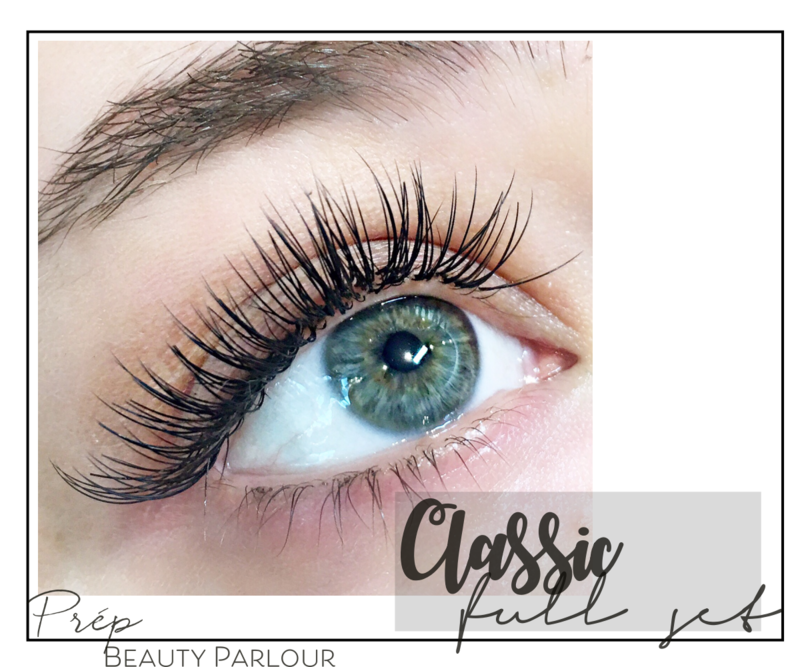 Any volume set is perfect for people who have sparse lashes as it adds the appearance of more lashes! 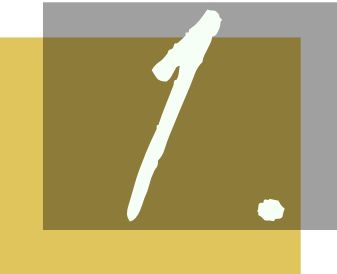 They appear less thick than royals and classics because the weight of 1 fan (Whether it be composed of 2-5+ lashes), is essentially the same weight of 1 classic or 1 royal lash. For people who prefer thicker, mascara looking lashes, royal and classic lashes are the way to go! Russian lashes appear very fluffy and can appear very natural. That’s it! 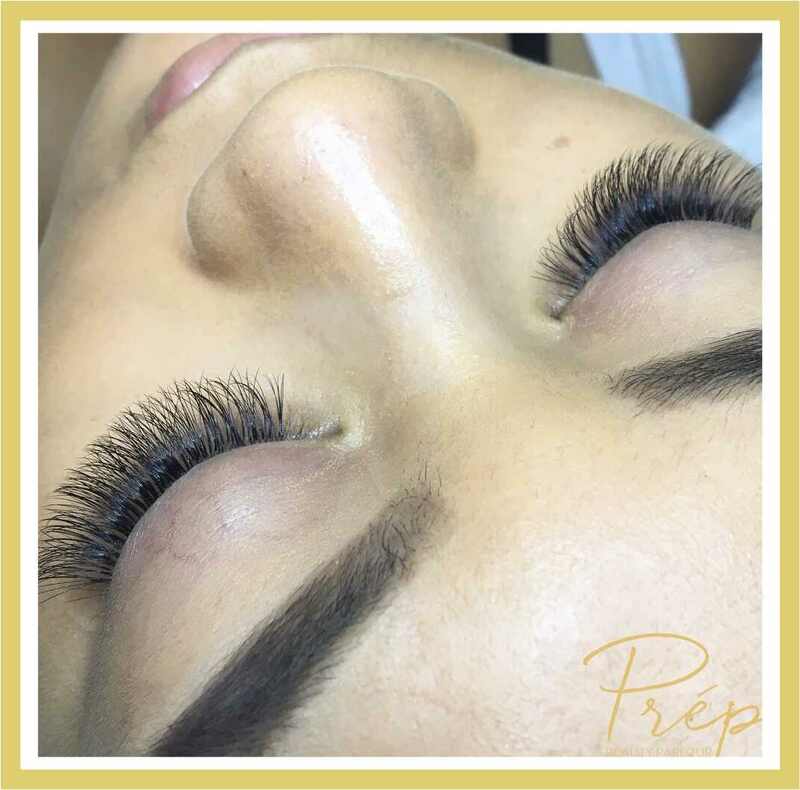 These are all the lash styles that Prép has to offer! Have any more questions? Don’ hesitate to contact us! To book online, click this link right over HERE!! 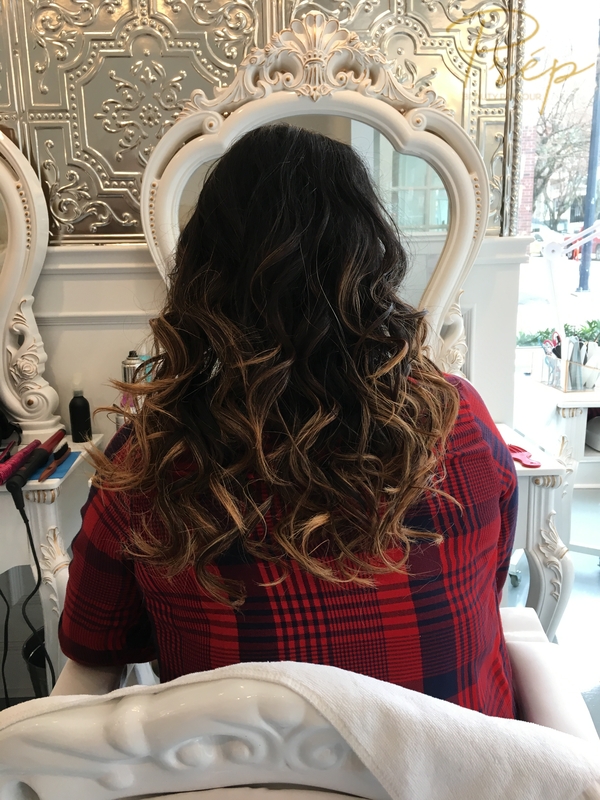 To book over the phone, shoot us an email at info@prepbeautyparlour.com!